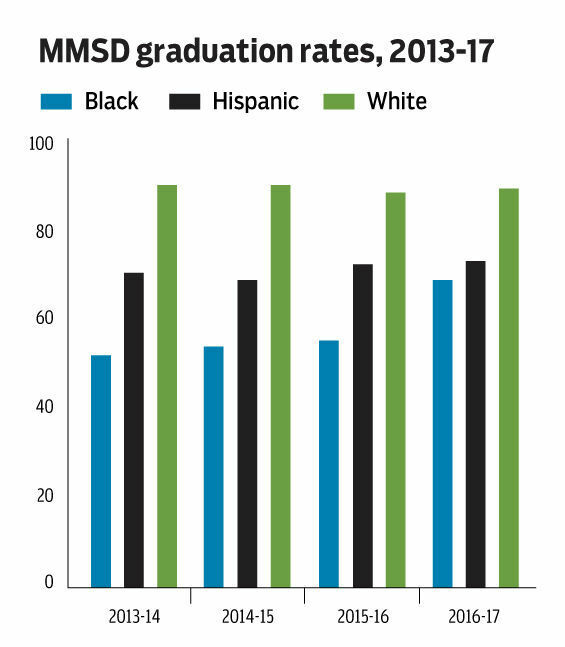 To make their point, the couple traced reading and math proficiency rates for the class of 2017 through the years, finding that the black and Hispanic cohorts saw little if any improvements between grades three to 11 and trailed white students by as many as 50 percentage points. They’re calling for more resources, especially in younger grades, like reading specialists to oversee literacy programming, and reading specialists to run intervention programs in the middle and high schools. 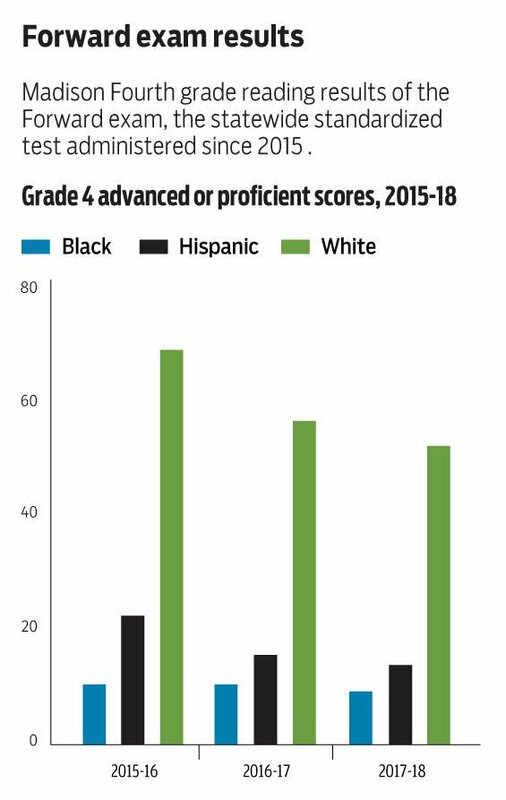 “Further, we need to hold those people and other school staff accountable for improving literacy in their student body — i.e., for increasing the percentage of students (in every demographic group) in their school who are reading at grade level,” they wrote. In the Isthmus article, Henriques and Frost also accused the district of whitewashing data. Cheatham bristled at the criticism, maintaining that the district publicly posts all data, both favorable and unfavorable, and that there’s nothing wrong with publicizing good results. Madison has long spent far more than most taxpayer supported K-12 school districts, now around $20k per student.